Credit Wish is committed to protecting your privacy when you visit our Web site. You can access Credit Wish and browse our site without disclosing any of your personal data. Credit Wish does not collect personal information about individuals, such as names and mailing or e-mail addresses, unless it is knowingly provided by the individual and he or she has agreed to the terms under which Credit Wish will use it. Some of the poor credit credit card offers listed below are from our advertising partners. The CreditWish.com team has reviewed the benefits of each card offer. We ranked the offers below based on our objective opinion about which card has the best features for people with bad credit. Have a bad credit score? You aren’t alone. According to Experian, approximately 30% of Americans have a poor credit score. Your bad credit score may be a result of using credit unwisely in the past or because you are new to credit. Poor credit can make it difficult for you to find a home, start a business, or buy a car. In some cases, poor credit may even prevent you from getting a better job. However, the situation isn’t hopeless. Over time, you can improve your bad credit and experience more financial freedom. Many banks and credit card companies offer credit cards for people with bad credit or no established credit history. There are two major types: secured credit cards and unsecured credit cards. Secured credit cards require a security deposit at the time you open the account. So in many cases, your initial credit limit will match your deposit. As you use your card and make on-time payments, your benefits will slowly improve. Furthermore, your card issuer may increase your credit limit, return your security deposit, or upgrade your account. Unsecured credit cards don’t require a security deposit. They require a higher credit score to be approved. When choosing between a secured and unsecured card, check all the features. They usually have higher interest rates than secured cards. Unsecured cards are also more likely to charge an annual fee. Getting pre-qualified for a credit card won’t have a major impact on your score. It will result in a “soft inquiry” on your credit report. Soft inquiries only show up on your credit report temporarily. They usually don't change your score at all. So the only way a credit card will hurt your credit is if you fail to use it responsibly. 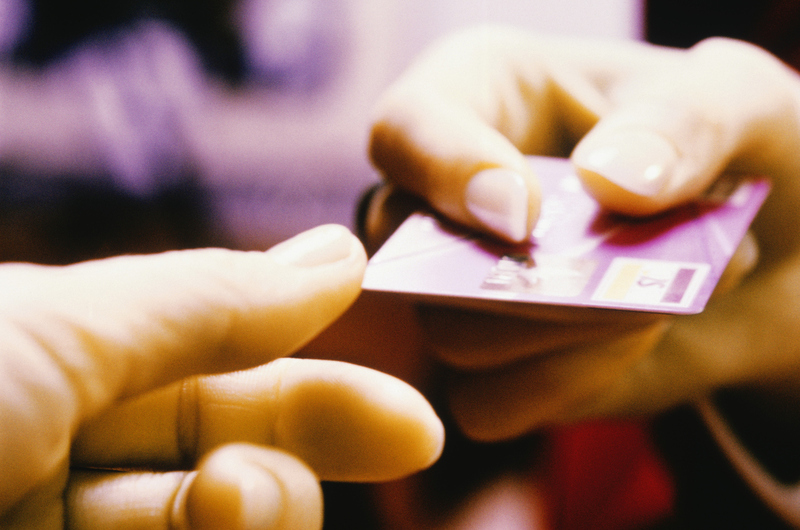 Smart use of a poor credit credit card will actually improve your score over time. We recommended the following credit cards offers to help people build or rebuild their credit. So if you don’t have poor credit, look for a card that will reward your good habits with lower interest rates and better rewards.